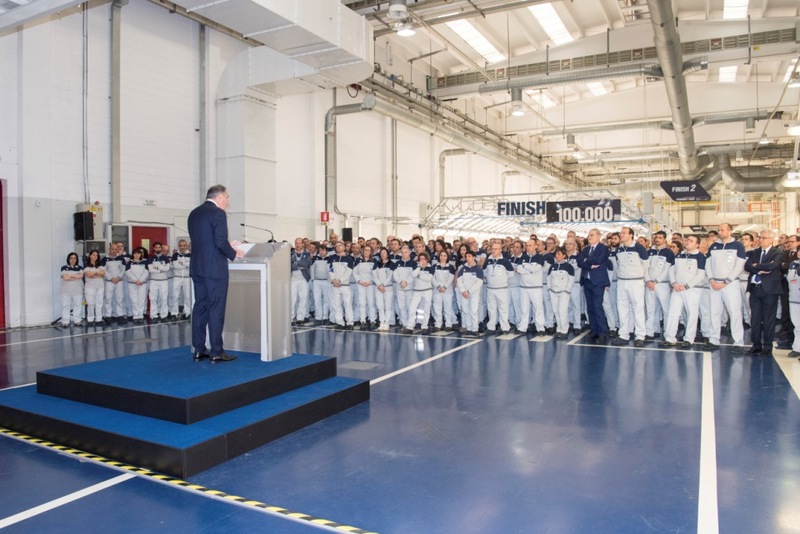 The 100,000th car is a white Quattroporte GranSport MY17 destined for China, the largest market for the brand’s flagship saloon. This morning, at the Avv. 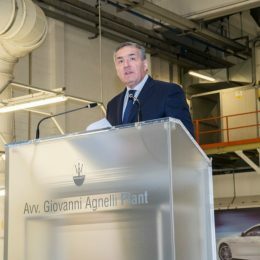 Giovanni Agnelli Plant (AGAP) where the Ghibli sports saloon and the Quattroporte flagship saloon are built, celebrations were held to mark the production of the 100,000th car. 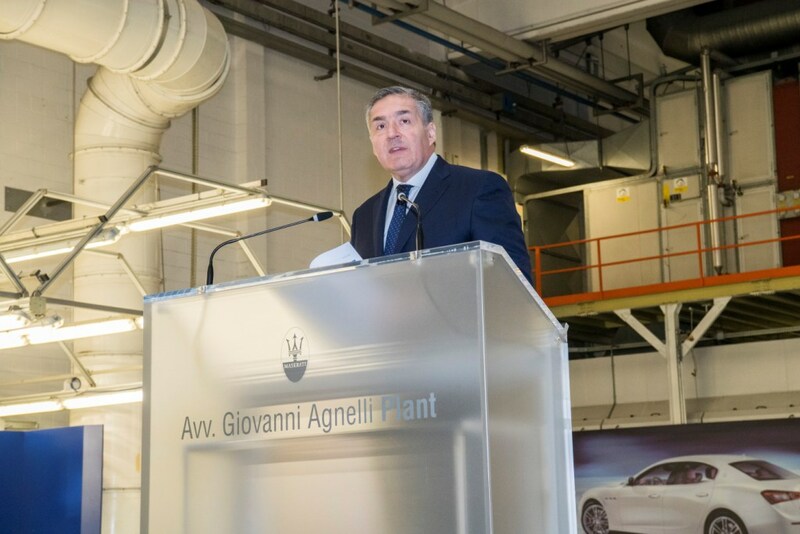 It was a white Quattroporte Model Year 2017, equipped with the 350 horsepower 3.0 litre V6 Twin-Turbo engine built by Ferrari. 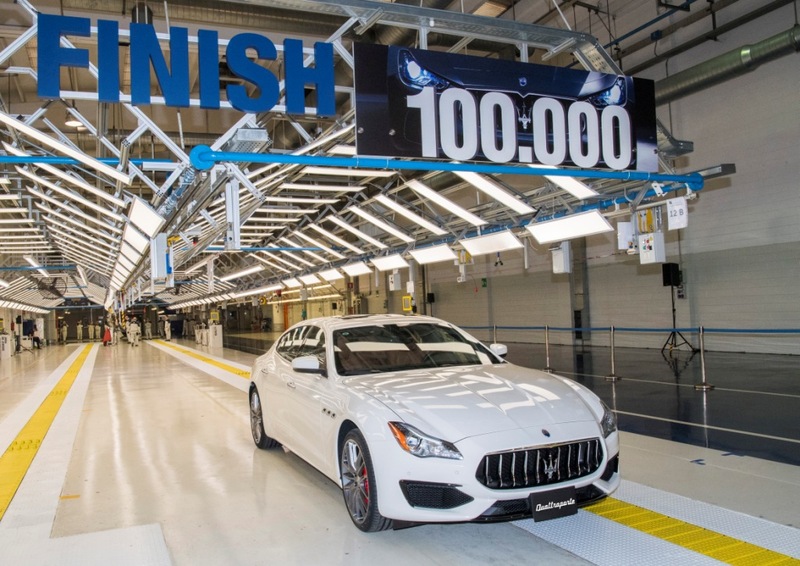 This special Quattroporte is destined for China, a strategic market for Maserati and of primary importance for the Brand’s flagship saloon car. 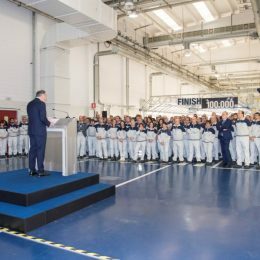 “The Maserati brand’s impressive growth during the last few years has been one of the major developments at the Premium end of the market; the sixth generation of the Maserati saloon, developed here at Grugliasco, is the best-selling Quattroporte of all time and almost 70,000 units of the Ghibli, built here, have now left the production line, meaning that in little more than three years it has become the most successful Maserati of all time,” Alfredo Altavilla commented. 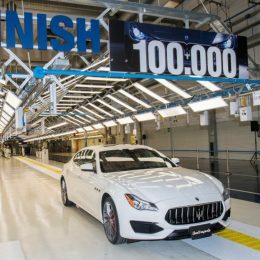 Today, Maserati is a genuine Italian icon: a symbol of creativity, passion, innovation and style, values all reflected in the range. 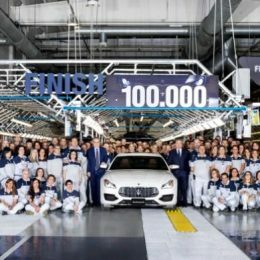 Thanks to a unique blend of craftsmanship, technology and obsessive attention to detail, it produces cars that never fail to thrill and inspire.